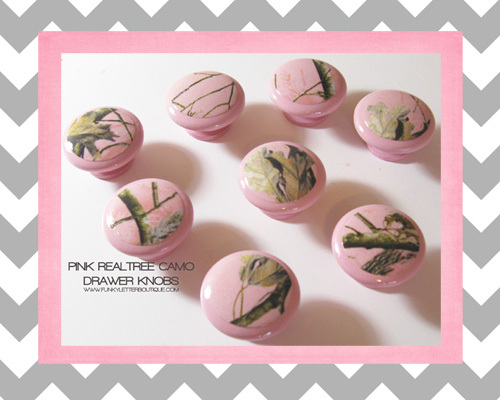 Beautiful Pink Realtree Camo Hardwoods Drawer Knobs! Price is per knob. Knobs measure 1 1/2" on surface. These are hand painted on the bottoms and sealed with a high gloss varnish. Tops off a girly camo hunting room perfectly! !